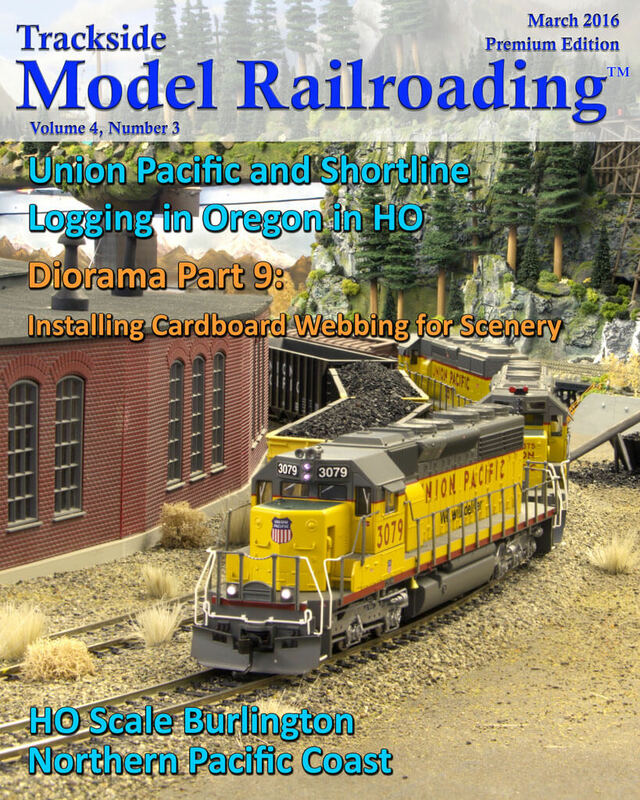 Lee Anderson models the Union Pacific Railroad and the freelanced R.B. Anderson & Son Logging Company Railroad on his eastern Oregon HO scale layout. The 1940s to present day time frame allows for both diesel and steam locomotives on his highly detailed layout. Both logging railroad enthusiasts and fans of the UP will enjoy Lee's work. Our feature includes an article about the layout and a video of both the UP and the RBA & SL in operation. 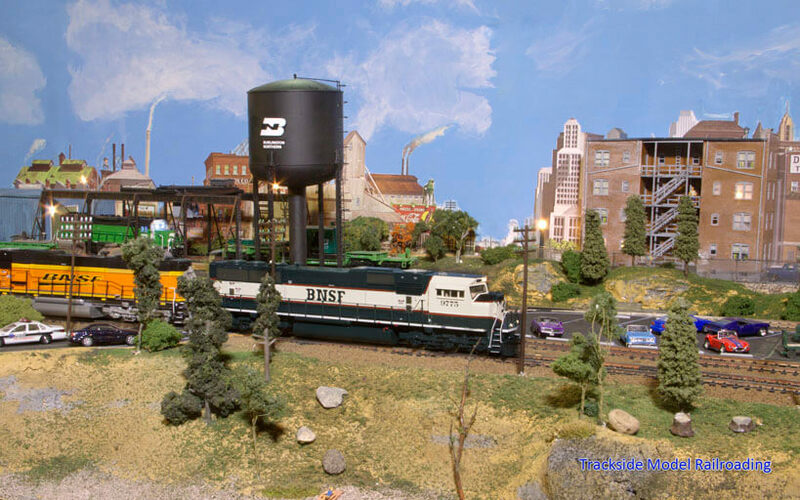 Gary Walker's Burlington Northern HO scale layout operates from Tacoma to Vancouver, Washington from the mid-1980s to the present day. 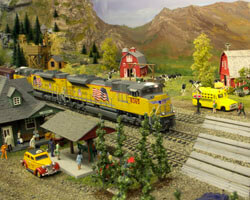 You will see a variety of modern equipment on the layout and enjoy the stories Gary tells with his detailed scenes. We focus mostly on the Tacoma area in our feature, which includes video of the layout running. 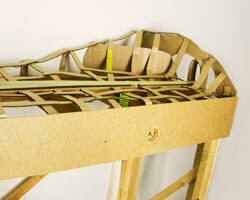 This month we show you how to create the ground contours on your diorama using cardboard. The project is simple and affordable, you just need a diorama that is ready for scenery. We started the diorama project in July 2015 and have worked on it a little each month. You can use these steps whether you are following along with us or working on your own project.